When will be The Secret Chef next episode air date? Is The Secret Chef renewed or cancelled? Where to countdown The Secret Chef air dates? 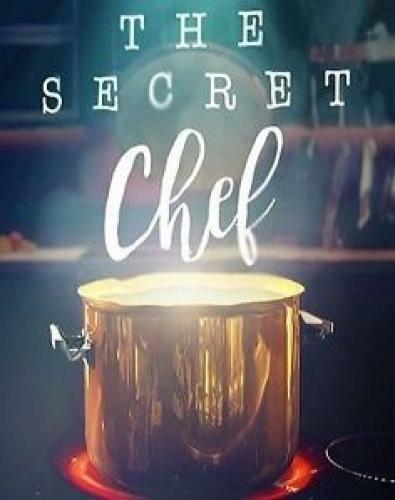 Is The Secret Chef worth watching? In this brand new four-part ITV series, Britain's worst cooks are set to be transformed into impressive gastronauts, to the utter astonishment of their family and friends. Each week someone with minimal cooking skills will have just five weeks to learn and prepare a show-stopping restaurant meal, taught in secret by a top chef. The trainee's family and friends will be invited to a restaurant at the end of the show, unaware that the food they are eating is entirely the work of their loved one, who previously struggled to boil an egg. Each secret chef has one close friend to help them with the burden of keeping their mission under wraps, whilst providing a kitchen in which to practise their culinary skills. In episode one, we meet self-confessed calamity cook Julie Green, who has decided to take matters into her own hands and show her nearest and dearest that she is not the kitchen catastrophe they think she is. Top chef Nisha Katona has been given the challenge of training Julie to prepare an Indian banquet and has just five weeks to pull it off. In episode two, we meet businessman Steve who in his 27 years of marriage, has never peeled a potato. He'd like to surprise his wife for their wedding anniversary, so top chef Glynn Purnell is on hand to give Steve a crash course in commanding the kitchen. In episode three, we meet mum of two, Lucy. A good parent but a hopeless cook, nothing turns out right for Lucy in the kitchen. But this is all about to change, award-winning chef Paul Merrett steps up to the challenge of turning Lucy from a complete novice to a confident cook. In episode four, we meet single dad, Steve. A loving father but a useless cook. After years of kitchen catastrophes he'd like to surprise his daughters and parents, and it is down to chef Nigel Haworth to show market trader Steve how it is done. The Secret Chef next episode air date provides TVMaze for you. EpisoDate.com is your TV show guide to Countdown The Secret Chef Episode Air Dates and to stay in touch with The Secret Chef next episode Air Date and your others favorite TV Shows. Add the shows you like to a "Watchlist" and let the site take it from there.